“Keeping your valuable items away from prying eyes can be hard sometimes, unless you put it in a big safe or something similar… but who has room for that? Instead, create your own puzzlebox using the components from the MKR IoT Bundle and some cardboard! We can’t guarantee the safety of your belongings, but at least it will be a fun deterrent for potential thieves. Of course, we advise you to stash you candy in there… not actual valuables. 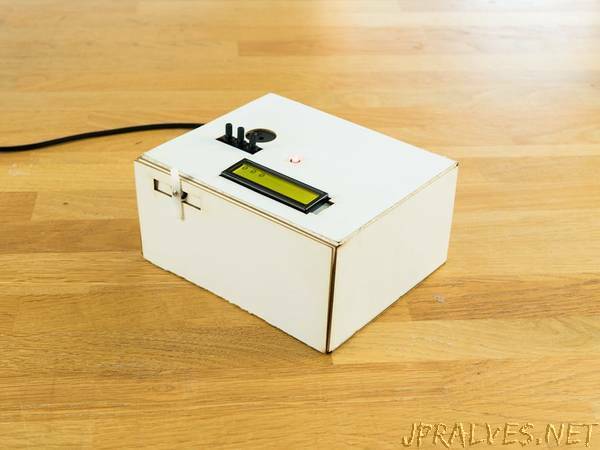 In order to open the box, which is held closed with a servo motor, you will have to turn the potentiometers until you get the right combination. The combination can be set through the online app Blynk. An LED will help you guess, giving you colour feedbacks: the closer you are the warmer the colour.